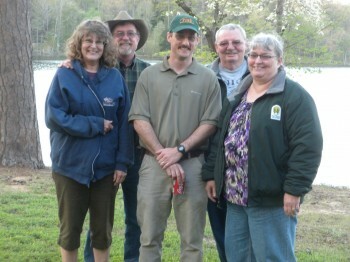 Seems like it was just last week that we pulled in to Payne Lake Campground to volunteer for six months. Time goes by way too fast when the place is as beautiful as this. 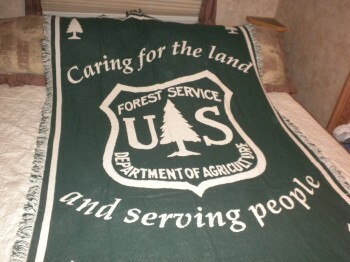 The Forest Service folks had a “Volunteer Appreciation Day” last week to thank us for our work here. 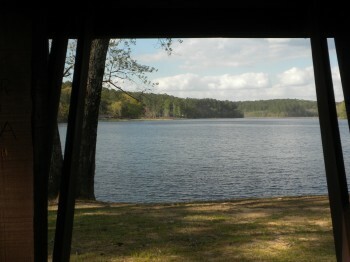 There was a cookout at the day use pavillion, and a lot of the guys and gals came out to say good bye to us and to Rob and Belinda, the camp hosts on the other side of the lake. 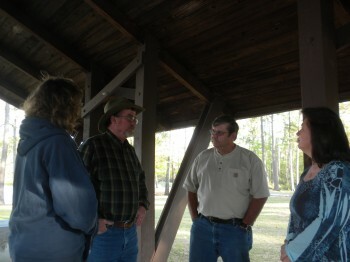 Belinda, Rob, Joe (the Payne Lake resource manager) FabGrandpa, and me. They cooked some hot dogs and hamburgers, there was some pasta salad and some baked beans, and I took some Kozy Shack Chocolate Pudding. Everyone had a great time. 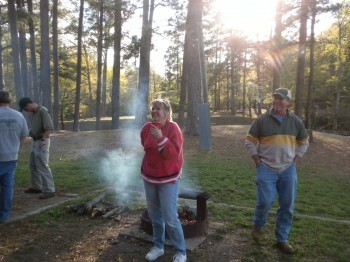 Cynthia (the District Ranger) and Wendell getting warmed up by the fire. 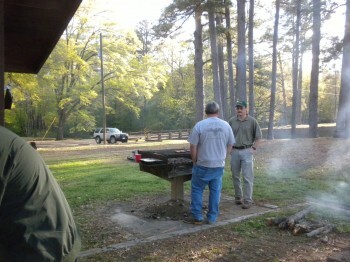 Rand and Joe cooking the burgers and dogs. 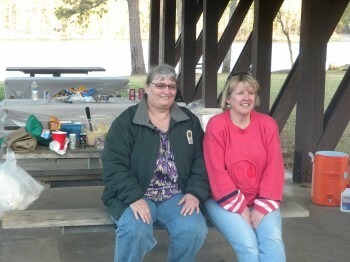 Me and Cynthia resting a minute on the bench. 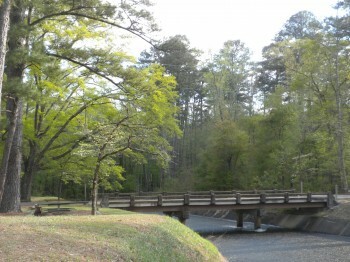 The bridge over the spillway. 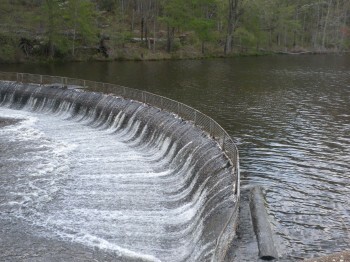 But we’ll be leaving in the morning, headed west to Arizona for another season at the North Rim of the Grand Canyon. 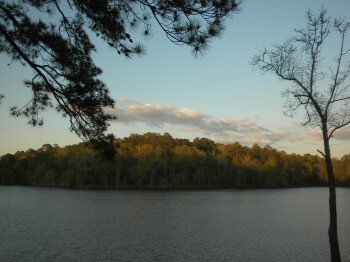 And that is another beautiful place, one we can’t wait to get back to. Have a safe journey and keep the rubber down. See ya’ at the North Rim. Ah yes, the mixed emotions of moving on. Sad to leave, but the excitement of new experiences! I’ll be heading out in a little less than three weeks, myself. Thanks for volunteering!